Any author who's been at it for a while knows about the dreaded book signing. Whole after-dinner speeches have been done on the subject, and it's always good for a few laughs at author conferences. But there are good book signings. 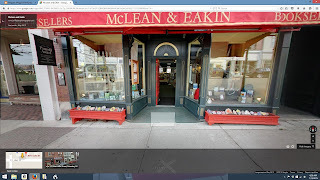 I was at McLean & Eakin in Petoskey, MI, last Saturday, and that's always a treat. M&E is one of the top indie bookstores in the nation, mostly because of the people who own it and their knowledgeable staff. 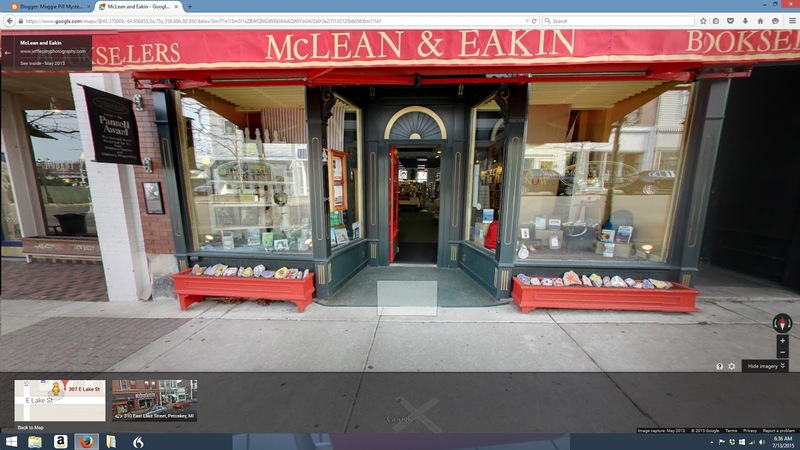 They move through the store with alacrity, finding just the book to suit their customers' needs. Want a beach read? Here, try this. Want some political analysis? I heard one of the staff tell a customer, "This isn't a cheeseburger read, but it might be what you're looking for." Don't know what you want? (That's often me.) Try this one. And though it might be something I'd never have chosen for myself, I usually have to admit their recommendations are worth reading. Michigan is blessed with good independent bookstores. Along with M&E there's Horizon in Petoskey (and Traverse City and Cadillac), Saturn in Gaylord, Blue Phoenix in Alpena, and Purple Tree in Cheboygan. Even if I don't sell one book, signings in a store provide me with the chance to meet people who read, and that rejuvenates my desire to write, even as I look around at all those books and wonder how a single author ever gets noticed. The world isn't lost if there are still people who love a good bookstore.